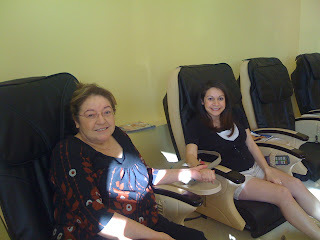 Angela and Dora enjoy their annual mother/daughter pedi with us. Angela comes from New Mexico once a year to get a pedi with us…. :) Congrats, Angela on the baby!!!!! !